Undoubtedly one of the greatest stallions of the last century. 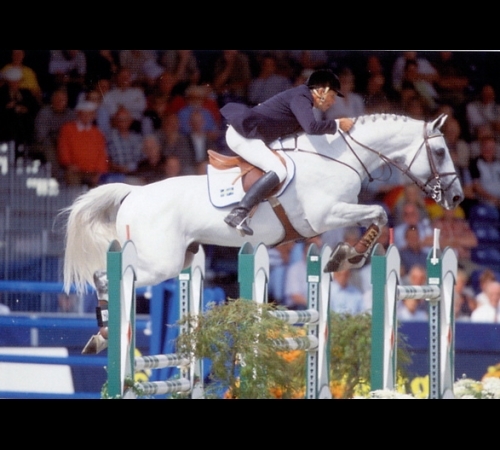 Cardento is found in thousands of pedigrees and is sire to numerous offspring jumping at the top of the sport to this day. He won a Silver medal at the World- and European Championship and the Olympics of Athens. He won the Nations Cup of Rome, Dramman and Ikast. Individually he won, among others, the Grand Prix’s of Holte, Helsingborg, Angelholm, Gera, Kungsbacke (2x) and placed 2nd in Aarhus. Cardento placed 6th in the Worldcup Qualifier of Göteborg, placed 4th in the German Classics in Hannover and 6th in the Grand Prix of Stockholm. An Olympic stallion with three silver medals!